Along with China Food Publishing Co. (China), Functional Food Center (Dallas, USA) is pleased to announce its 16th International Conference, "Functional Foods, Bioactive Compounds and Biomarkers: Research and Practical Application". This will be held at Chengdu, Sichuan, China. The conference will bring together experts in medicine, biology, and the food industry to discuss the contribution of functional/medical foods and bioactive compounds in the prevention and management of chronic diseases. Legislation on health claims: healthy, functional and medical foods. The abstract submission deadline is June 25, 2014. However, space is limited so don't wait; submit your abstract today! The entire abstract should have a maximum of 650 words, or up to 3 pages. There is no up-front fee for submitting a conference abstract. An abstract must be submitted knowing that the submission fee will be deducted from your conference registration payment, as long as the payment is made within 7 days of submission. Failure to register with payment within 7 days of acceptance will result in an additional abstract publication fee of $49. First authors are expected to register, pay the conference fee, and present the paper if the conference committee accepts their submission. In the case of an emergency and the author(s) are unable to attend the conference, they are required to pay an abstract publication fee of $99. Decisions on selection will be communicated to the authors via email. All contributions will be reviewed, and accepted abstracts will be published in the conference proceedings book. Please email your abstract as an attachment to ffc_usa@sbcglobal.net. See our sample abstract. There is no charge for the withdrawal of an abstract. When the first author cannot attend the conference and present, he or she must email the conference organizing committee at ffc_usa@sbcglobal.net to provide notification of withdrawal or to request a substitute presenter. Withdrawals must be received before June 25th, 2014. Please note: Abstracts withdrawn after June 25, 2014, will be published and the first author will be expected to pay the abstract publication fee. The conference does provides neither financial support nor registration fee waivers for presentations. To avoid the last-minute rush, submit your abstract in advance. Abstracts reaching the Conference Organizing Committee after June 25, 2014 at 5 pm will not be accepted. For any information concerning publications please contact us at ffc_usa@sbcglobal.net. For more information about abstract submission, please click here. Poster presentations give the audience a clear visual of the presenter's work in a simple format. The reasonable size for posters is 2.5 – 3.0 feet high by 3.5 - 4 feet wide. Good use of color, and black or dark blue for text. Too much color can be hard to read! Make it the title large and clear! Include author(s) name(s) and address (es). Your poster title should be easily readable 3-4 meters away. The registration fee will cover the Conference Proceedings book (abstract book), welcome dinner, and refreshments for 2 days, as well as a 12 month membership to the Academic Society for Functional Foods and Bioactive Compounds. Cancellation Policy: Two months before conference: 75% refund, 45 days before conference: 50% refund, one month before conference: No refund. Refunds will be sent after the conference. Notice of cancellation of registration must be received in writing to the Conference Secretariat: ffc_usa@sbcglobal.net. All refunds will be provided after the conference within 14 days. 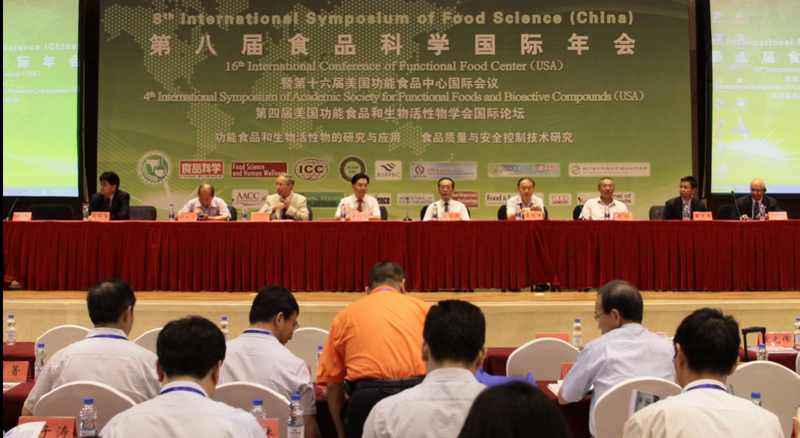 Functional food and bioactive compounds Session, food quality and safety control technology Session. 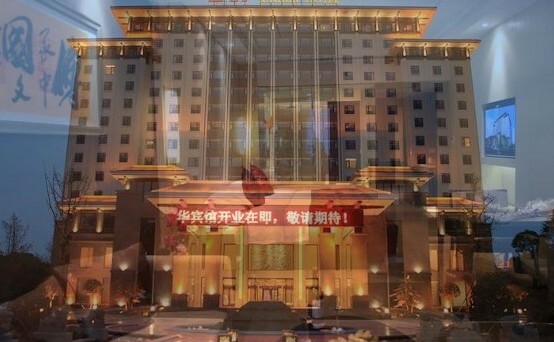 Hotel location: Xin Hua hotel, No 29 Jianghan Lane, Xinhua Road, Chengdu, China. Click here for more information about the hotel. For more information about the conference, please contact us by Email at ffc_usa@sbcglobal.net. For international calls, please use: 469-441-8272. 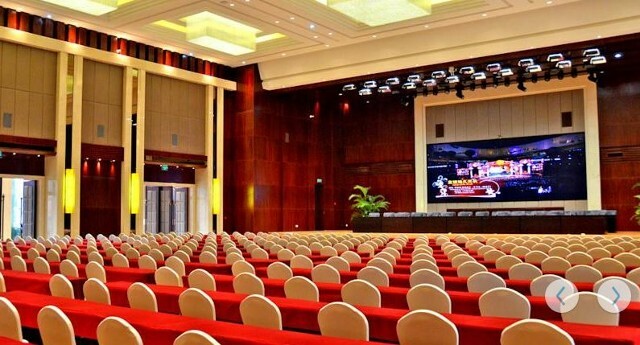 The conference venue is Chengdu Xinhua Hotel. All the nicely decorated rooms come with a minibar, a refrigerator, a flat-screen cable TV, an in-room safe, ironing facilities, a work desk and a seating area. The en suite bathroom has a hairdryer, soft bathrobes and a bathtub. Luggage storage and ticketing services are provided at the property. A barber shop and a mini-market are available. Dry cleaning, laundry service and concierge service are included. The large on-site Chinese restaurant serves local Sichuan cuisine and the breakfast buffet is served daily. Xinhua Hotel is a 10-minute walk from Wenshu Yuan Monastery, an 8-minute drive from Chunxi Road or Chengdu North Railway Station, and a 10-minute drive from Tianfu Square. 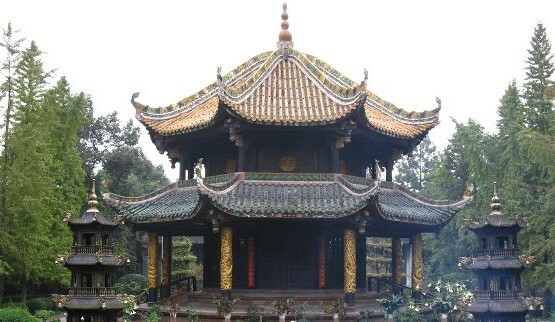 It takes 30 minutes by car to Shuangliu International Airport. A short stroll from Wenshuyuan Subway Station (line 1), Xinhua Hotel is located in a Chinese-style 15-level main building. It offers an indoor swimming pool, a fitness centre and a business centre with meeting and banquet facilities. Airport shuttle service is provided.